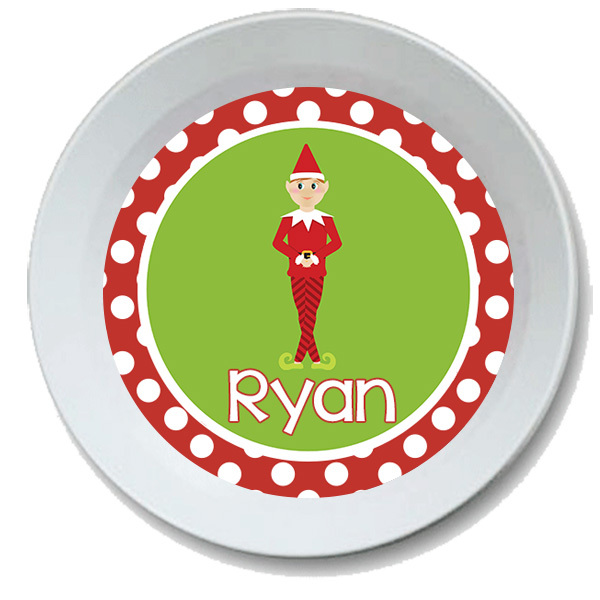 This mischevious elf will charm and delight your son or daughter this holiday season! 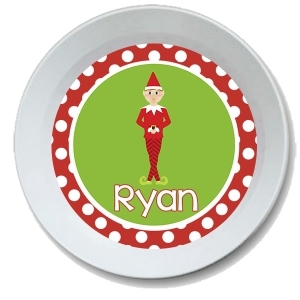 Your little one will have a fun time eating our of their own personalized Christmas bowl! Matching plates are also available. This fun bowl is melamine and dishwasher safe. Fun, fabulous and super easy to clean. We love that! Get a set for the family, give as a gift, even have one for the holidays! Oh and birthdays...how cute will it be to put your birthday guy or gal's special piece in their very own bowl. So many great ideas and no more throwing out paper plates. Just do us a favor, don't put it in the microwave.